Any Klein owners care to share how their bikes are sized up? At 6' according to the catalogue I'd be looking at a 20", maybe 22". Is this right? 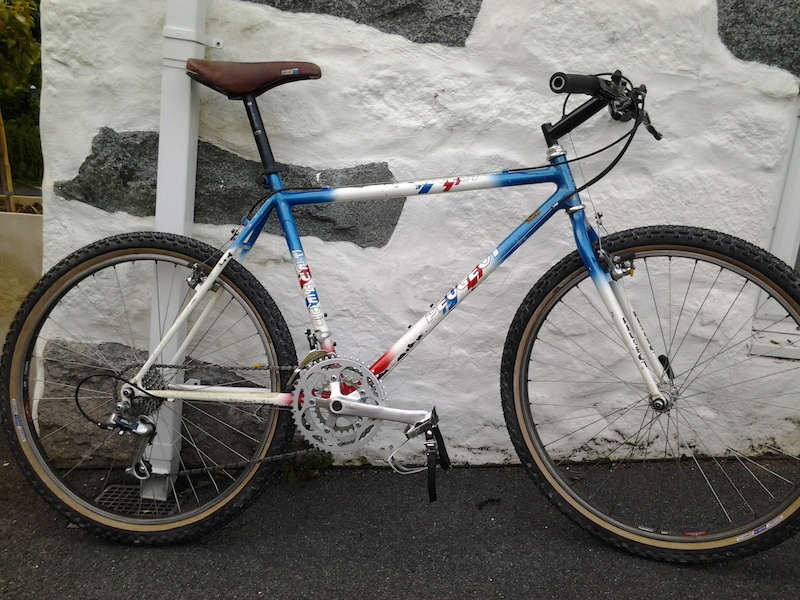 The attitude for sale in the classifieds at the monent > http://www.retrobike.co.uk/forum/viewtopic.php?t=1856 is around 16" or 18" going off the measurements. Sound about right or not? not sure officially, but everyone used to ride bikes that looked diddy compared to the norm. Not sure what size jezzers is? Think Jezza's is a 16" or 18". Looks a tad small. The older kliens (pre 92) used to have really shite sizing, the 16 is soo small and the 201 is friking massive Too big for me really and im 6`2". my last klien was a med which is around 18" which i coudl ride with a long post. its the klein in the bike of the month check it out as its not that ssmall for 18.
ah yes, the old longer stem length to make the bike fit retro dilema! Not really a dilemma I think but more the norm. yes..i have noticed this too. many klein owners seem to ride compairably small bikes. that said, i've been on a few that i would have thought were too small for me and i found them not to feel that way. what i havent looked at serioulsy was the geometry to see if there was any factual truth to this. anyone?? visit the equipment exchange - a USA based free vintage classifieds area. Post subject: Its the size of your Klein that matters !! The facts are in the ride peeps !! All my Kleins I have owned over the years have come up small ! (Hence the German word for Small = Klein !!) Sorry, you probably know that already! Im 6.0ft but Prefer my Kleins medium which would normally suit a shorter rider but I get more feel from the bike like this and with a low rise long length stem you get that true race feel and extra stiff control, oh and a stiff back at the end of the ride !! But hey, its worth it !